Having a career that consists of acting as iconic television characters enjoyed by millions makes it hard for actors to stay away from the spotlight—or, really, more accurate, from the spotlight wanting to find them; curious fans wants to know every little detail and dirty secret. 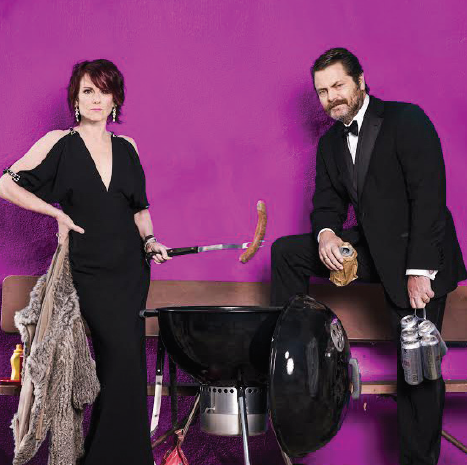 But comedy duo Nick Offerman and Megan Mullally’s marriage seems to have bewildered media because of its simplicity and solidness. Saturday, September 17, Offerman (Ron Swanson on Emmy nominated show “Parks and Recreation”) and Mullally (Emmy winner for “Will & Grace,” also on “Parks and Rec”) are bringing their “Summer of 69: No Apostrophe” tour to Britt Festival. The couple embarked on the comedy tour earlier this summer, making their way across the nation with their poodle, audiobooks, and an arsenal of raunchy jokes. Audiences will most likely give their performance an A-plus; it is both hilarious and intimate. He says he “accidentally became a humorist about five or six years ago” when he decided he had something to say to the younger generation. “I found I had a propensity for doing it,” he says. He’s best known as playing Ron Swanson on Emmy nominated show “Parks and Recreation,” but he’s also has his own comedy special “American Ham” on Netflix and has been in a number of theatrical productions in the country throughout his career. “The downside,” he says, “was the touring life made me very lonely. I missed Megan a lot.” On this comedy tour, the two use their strengths––Mullally’s musical-comedy talent and Offerman’s perfectly timed, deadpan jokes––by embracing the spotlight that’s been put on their over a decade long marriage. They may blend the simplicity of their marriage and raunchy sense of humors to give audiences a comedy show they will never forget, but they also display their real and honest love for one another. Celebrating their love is the perfect description of the show, and will no doubt be the theme of the entire night. Offerman says, “The marriage isn’t the reward; it’s the root. 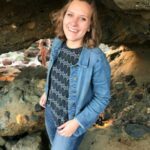 That’s root of the rewards.” He expresses his and Mullally’s excitement to make their way to Oregon, and especially, he says, swim in the Rogue River.